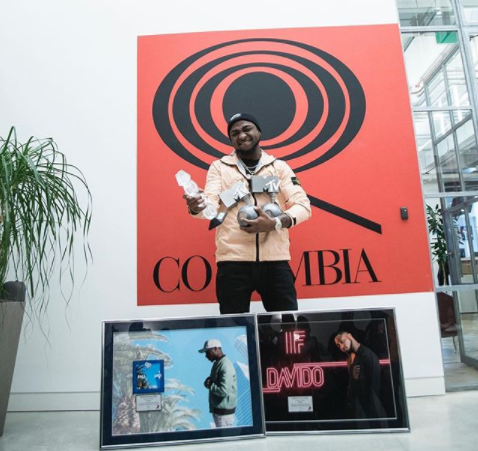 Davido’s IF’ and ‘FALL’ officially goes Diamond and Platinum in sales – Royal Times of Nigeria. Nigerian popstar, Davido’s 2017 monster hit singles hit Diamond and Platinum certifications in sales. He shared photos of his certification plaques saying, ‘IF’ is officially Diamond and ‘FALL’ is officially Platinum in sales!!! My ?’s finallly came in as well! GOD IS REAL!! ???! Thank you Guys for making this happen!! just gettin started!!! Bless to my team’. When a song goes platinum in sales, it means the record has sold 1 million or more copies.